UPDATE & REMINDER – THIS IS WHY WE DO THE MEDITATIONS!!!! To all PFC family… Given all of the events going on in the world, we urge as many of you as possible to join in the meditations this weekend and going forward. Click here to read my original post: Here are a few updates in the realm of geopolitics: http://www.veteranstoday.com/2014/06/20/breaking-major-military-columns-enter-lugansk-from-border/ In Iraq, echoes of Taliban’s … Read moreUPDATE & REMINDER – THIS IS WHY WE DO THE MEDITATIONS!!!! THIS IS WHY WE DO THE MEDITATIONS!!!! THIS IS WHY WE DO THE MEDITATIONS!!!! (Lovingly edited by DaNell Glade) “What follows is not ‘officially’ sanctioned by anyone. It is my personal assessment of certain phenomena based upon years of intense study and self-reflection. 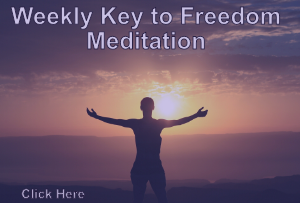 I write this because I feel that the perspective I will be sharing could be helpful in persuading people … Read moreTHIS IS WHY WE DO THE MEDITATIONS!!! !